At Denton Gymnastics Academy, we work hard and we play hard. And when we party, it’s a non-stop adventure of games and activities that keep boys and girls entertained with minimal stress for mom and dad. A 90 minute party for up to 20 children, led by one of our awesome coaches, is $150 and includes everything but food and drinks. 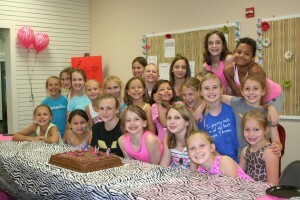 If your party includes more than 20 children, get in touch with us for special pricing. 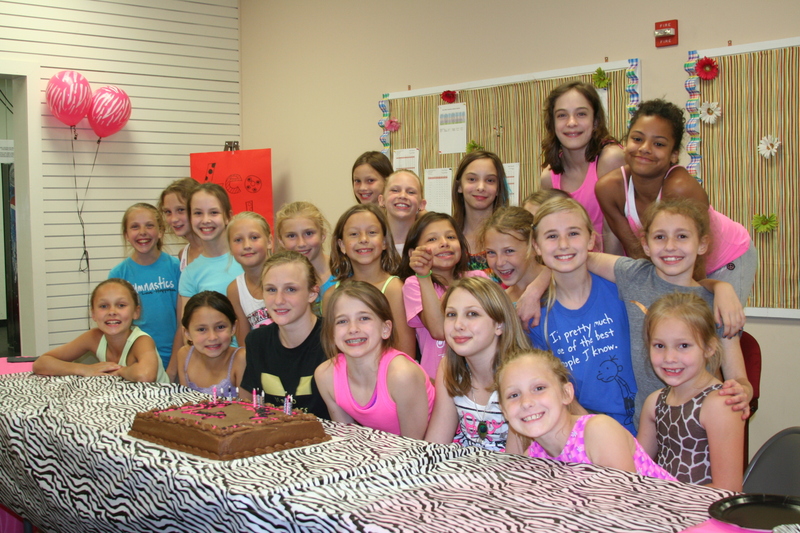 You don’t have to be a DGA gymnast to hold your party with us, but the party child and his or her friends will need a waiver on file in order to participate. For information about longer parties, including DGA lock-ins, or to schedule, please contact us at 940-387-2025 or dentongymnastics@yahoo.com or you can just use the form below!